Top Box Mounting Options: Please read the following options and make your mounting selections carefully so we can best help you get the setup you need. 1. 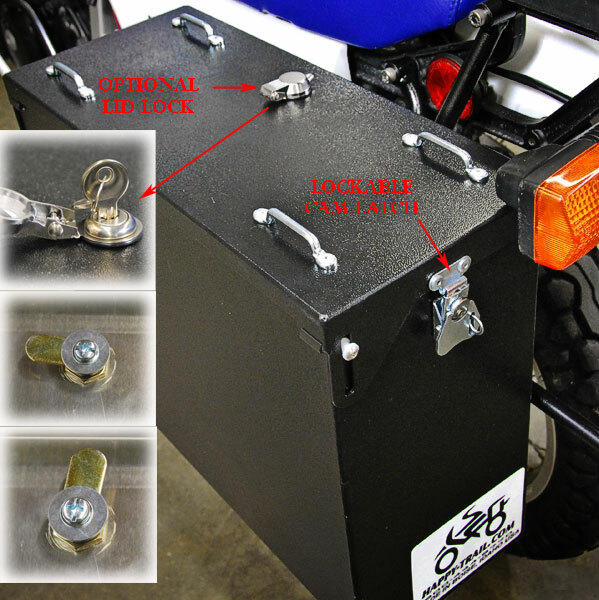 Mount the top box directly onto your tail rack with our Isolator Mount Kit. 2. 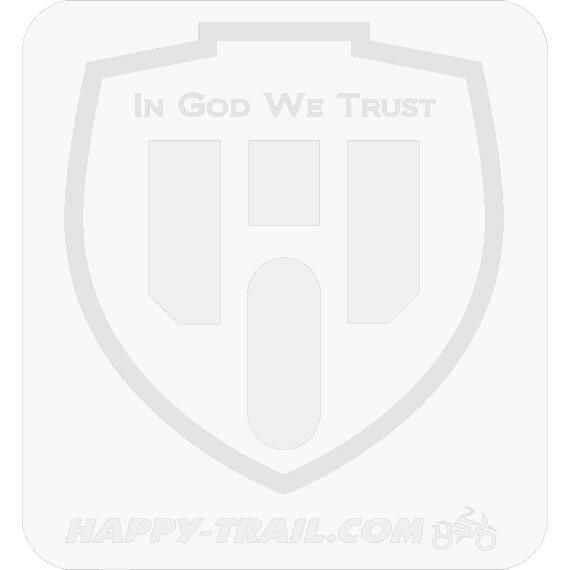 Add a T2 Luggage Plate to your tail rack. This gives you a flat shelf for carrying a duffel (or bags of chicken feed) when the top box is off. You can mount the top box directly to the T2 plate with our isolator mount kit. 3. The T2 Luggage Plate also gives you the option of running the QRL Quick Release Latch for your top box. The QRL allows you to quickly and easily remove your top box from the bike and put it back on just as easily. Compatibility Note: This top box is compatible with all pannier systems on the KLR650E. It cannot be mounted with Cascade panniers with the QRL system, only the isolotor mount kit can be used in the Cascade application. How well will these fit a full face helmet with a visor attached with the sloping bottoms? Size is 14,1/4 x 11x 10,3/4inch approximately. The dimensions are 14x17x12, I can't guarantee that a speciific helmet would fit, however the dimension show that it should fit with room to spare.